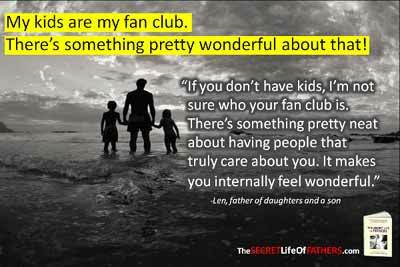 ~ OUR MISSION: FOR FATHERS – Healthier happier daughters and families! 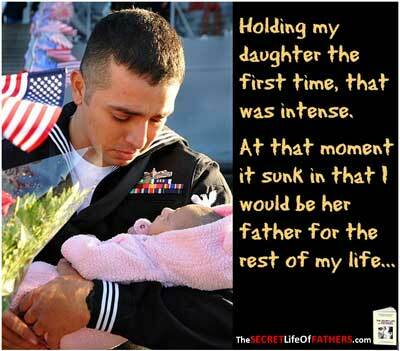 You were the first man in your daughter’s life. And whether you realize it or not, her self-image and how she interacts with men throughout her life are subtly and not-so-subtly affected by her relationship with you. 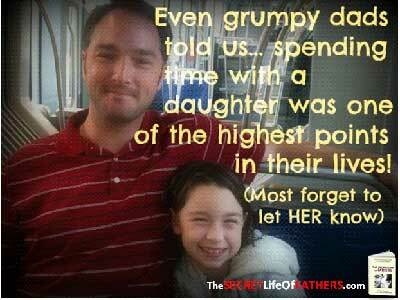 That’s why “The Secret Life of Fathers” was written. Unlike books filled with tips from supposed experts, here for the first time you get to eavesdrop on real dads chatting with other dads when no woman is in the room, about one of the most incredible and complicated relationships in a man’s life, between a father and his daughter. 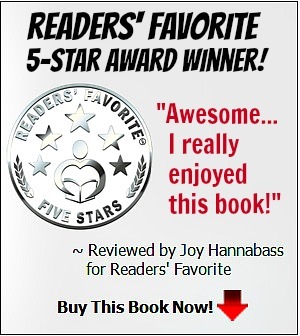 Sometimes incredibly funny, sometimes profoundly sad, but always real, you get to learn about a subject rarely discussed–the private fears and feelings of fathers with daughters. When behaviorist James I. Bond discovered his relationship with his middle daughter, Lauren, wasn’t as great as he thought, he got the crazy idea of interviewing other dads of daughters to try and figure out how to be a better dad. 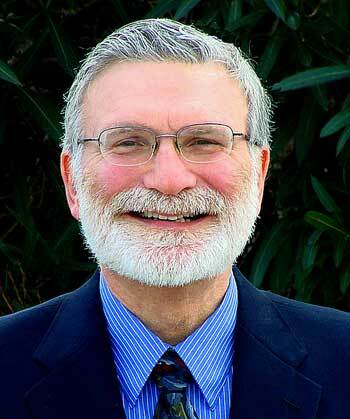 What started as a simple idea turned into a marathon. 101 dads agreed to go through deeply personal and emotional recorded interviews, talking about the good, the bad and everything in between. 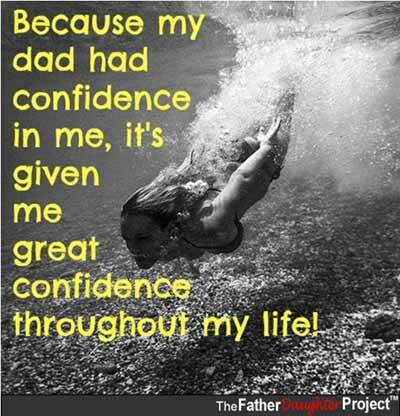 What these dads talked about was more profound than he expected, and led to the launch of The Father-Daughter Project™. 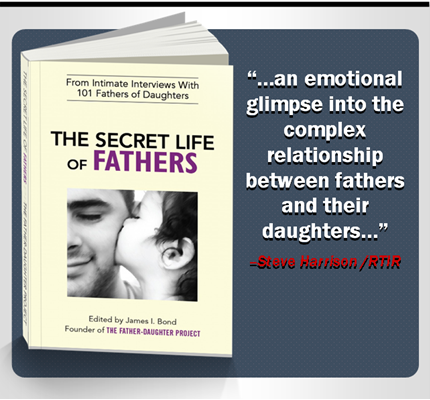 Next came publication of the groundbreaking book, “The Secret Life of Fathers,” with actual excerpts from these conversations with dads. 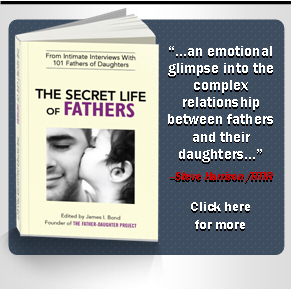 Considered by many to be one of the best training manuals ever for fathers of daughters, the stories and comments these men share will open your eyes and hearts to the unexpected and incredible ways a dad affects and is affected by his daughter. 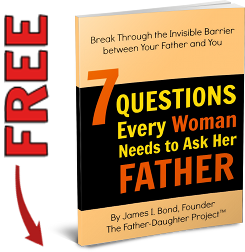 Sometimes incredibly funny, sometimes profoundly sad, but always real… this has been described as one of the best training manuals ever for fathers of daughters… because it’s from real fathers.